Ying Xiong (Kim) started her violin at her age of 7. In 1978 Ying Xiong was accepted by the Sichuan Music Conservatory to study with violin Professor Wen-Yuan Chen and Sho-Ming Bi. She won the Third Award Prize in Sichuan Provence Violin Competition in 1981. Ms. Xiong also performed in Master Classes for Li Han and Yiao Ji Lin, and Cho-Liang Lin. After graduating in 1985, Ying Xiong was selected by the Canton Symphony Orchestra in Guangzhou as the first violin section. During the Canton Symphony Orchestra Ying Xiong formed the Women String Quartet and performed oftenly on radio stations and concerts. Ying Xiong ‘s dissertation was published at the Exploration of The Music Magazine in Sichuan province in 1986. 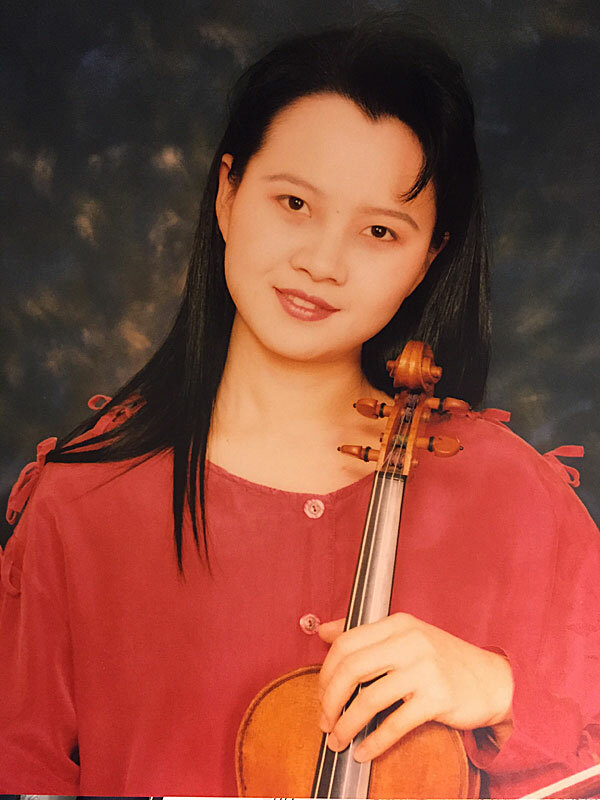 In 1994, Ms. Ying Xiong studied at UCLA as a graduate student and got her Master of Music in 1997 Where she studied with the internationally renowned professor Alexander Treger who was a previous LA Philharmonic Concerstmaster. Alexander Treger is a Director and a Conductor in American Youth Symphony Orchestra as well. Ms. Ying Xiong has been invited to judge violin competitions in LA area and her students won many prizes during her violin teaching career such as CM honors, Bach Festival, and SYMF competition.